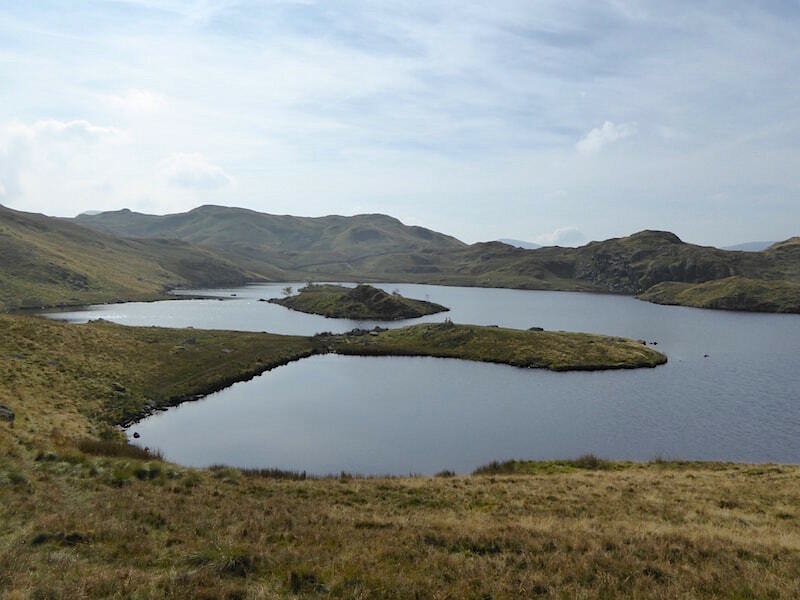 Looking across to Angle Tarn Pikes as we cross the field from Bridgend at the start of the walk. My new camera arrived three days ago so this is its first outing. Wouldn’t you just know it, the day was full of haze and there’s not much any camera can do about that. 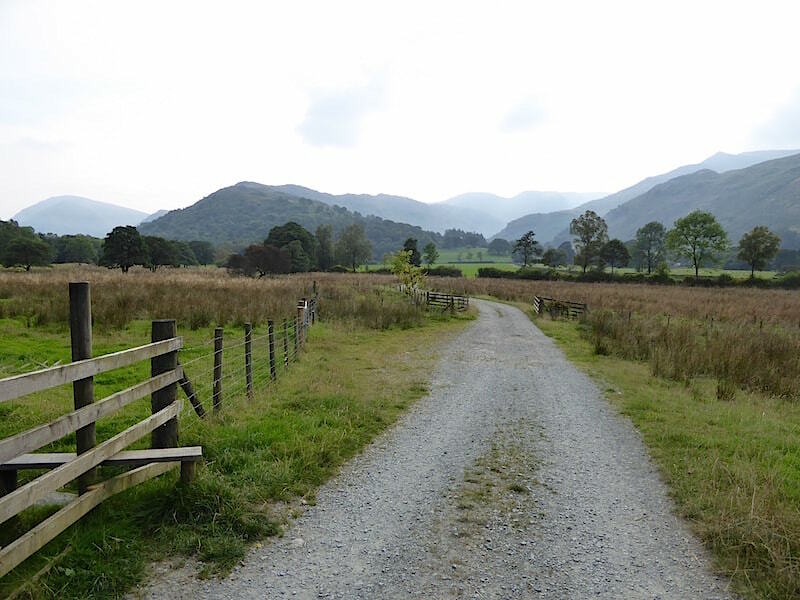 Place Fell over to our left, and over to the right, the path we will be taking up to Boredale Hause. 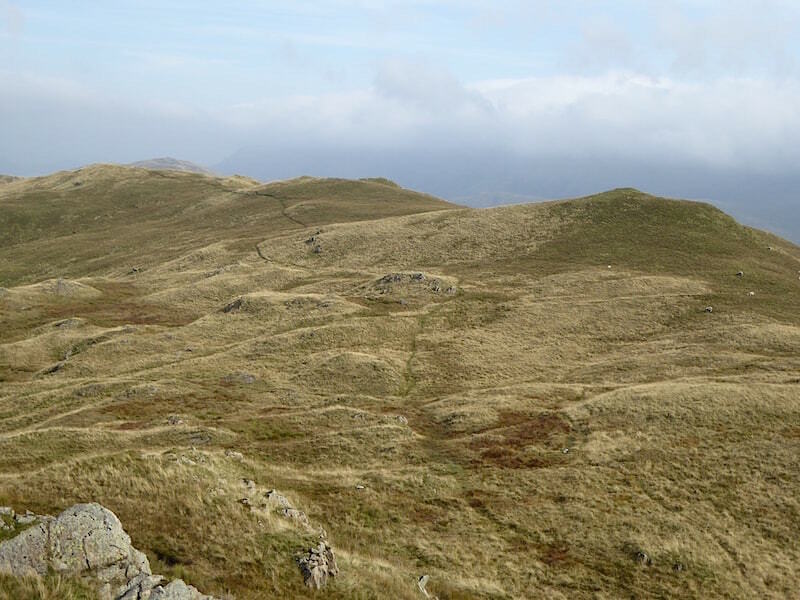 The last of the twists and turns, the rising path is the one which will take us across the fell side to Boredale Hause. 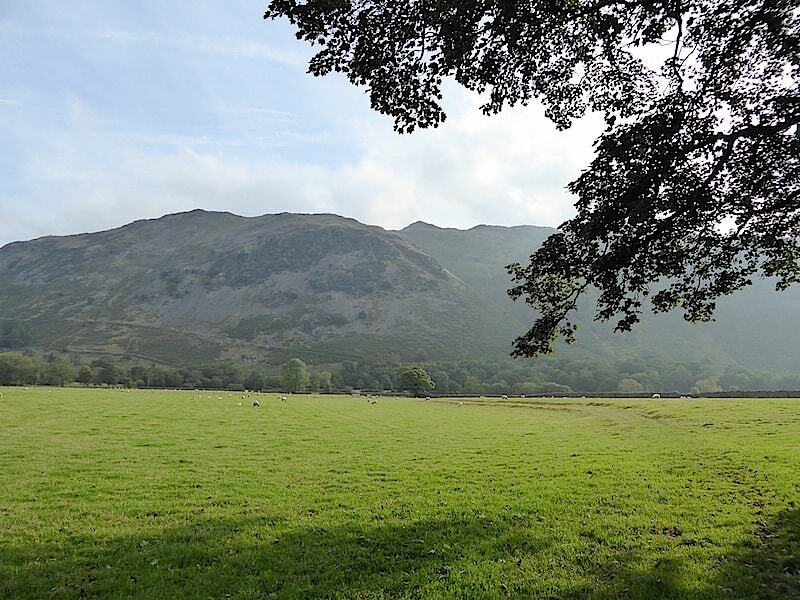 Looking across to the tree covered lower slopes of Hartsop above How. The path below is the one we took to get to this point. 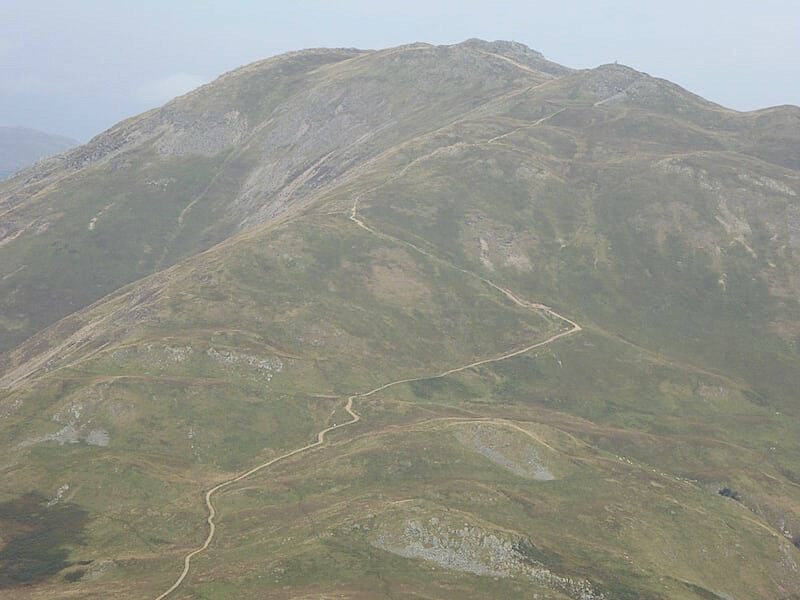 Sheffield Pike and Glenridding Dodd to our left as we continue up the path, it was very warm work climbing today thanks to the very humid atmosphere so plenty of brow mopping was going on. 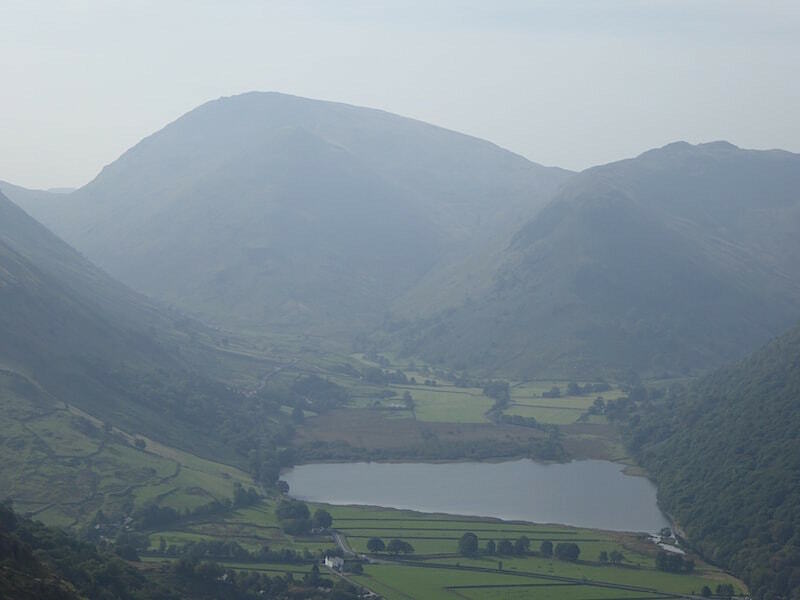 A very hazy view across Brothers Water. 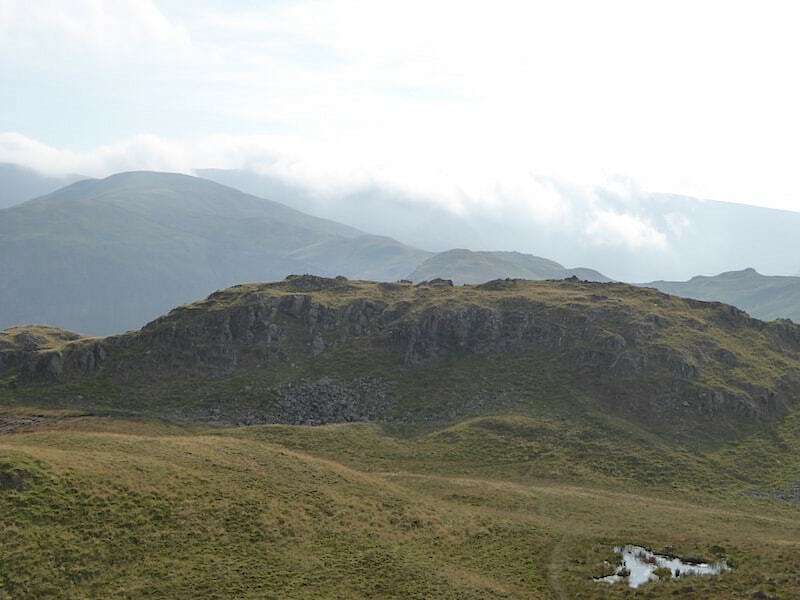 Its difficult to distinguish them but in the centre are Middle Dodd and behind it Red Screes. 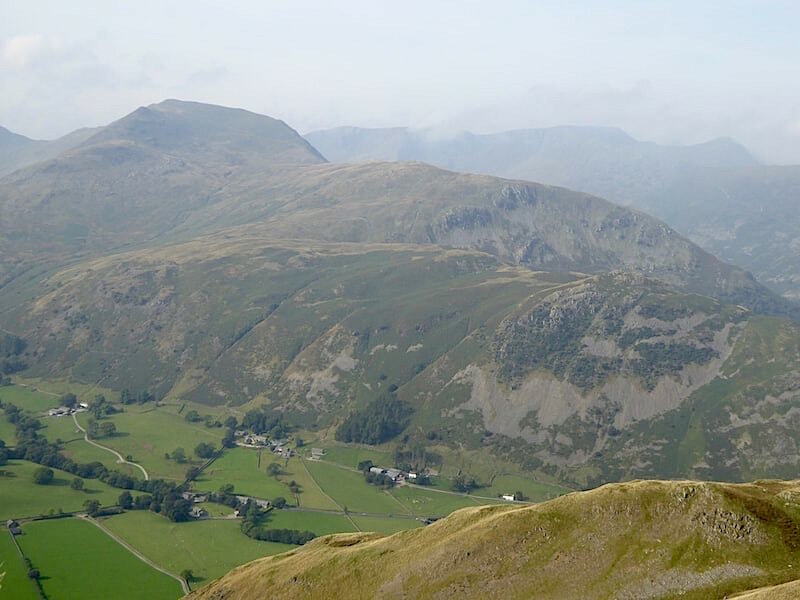 The fell to the right is High Hartsop Dodd above which are the two tops of Little Hart Crag. 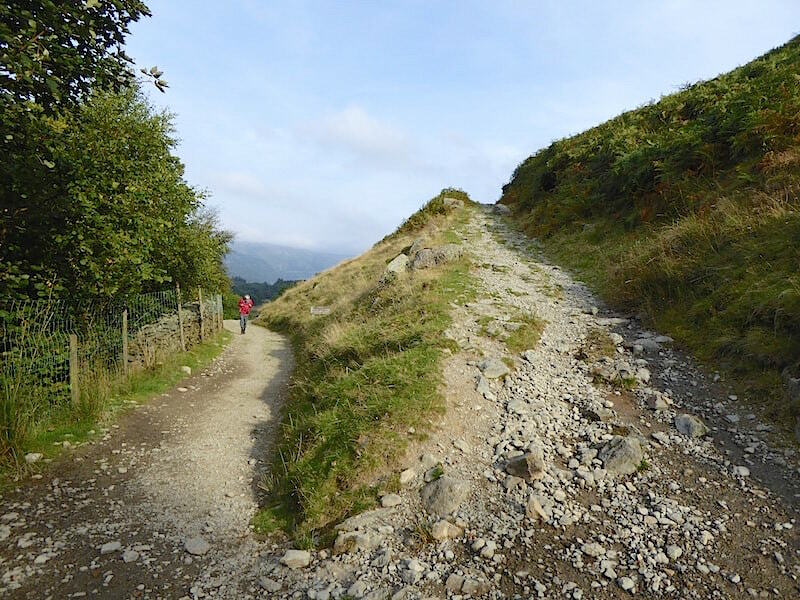 Zooming in on one of the paths up Place Fell. 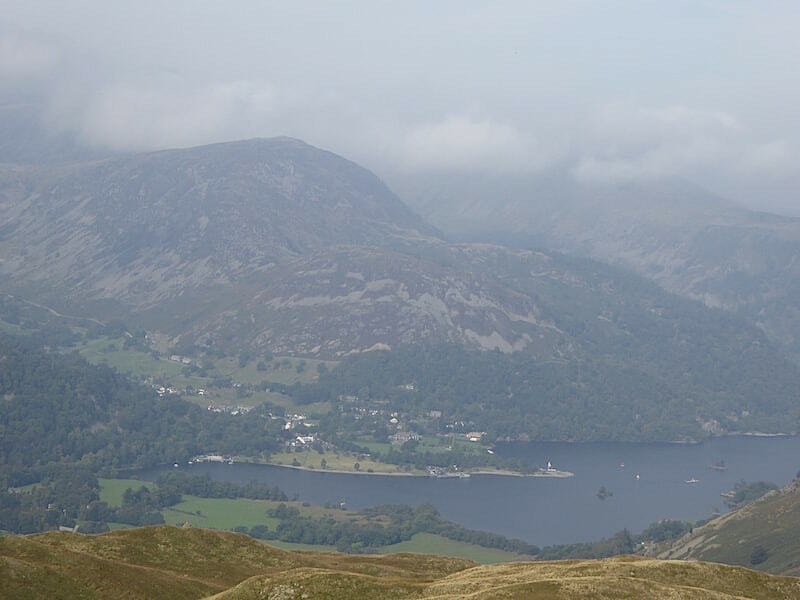 Glenridding and more of Ullswater come into view. 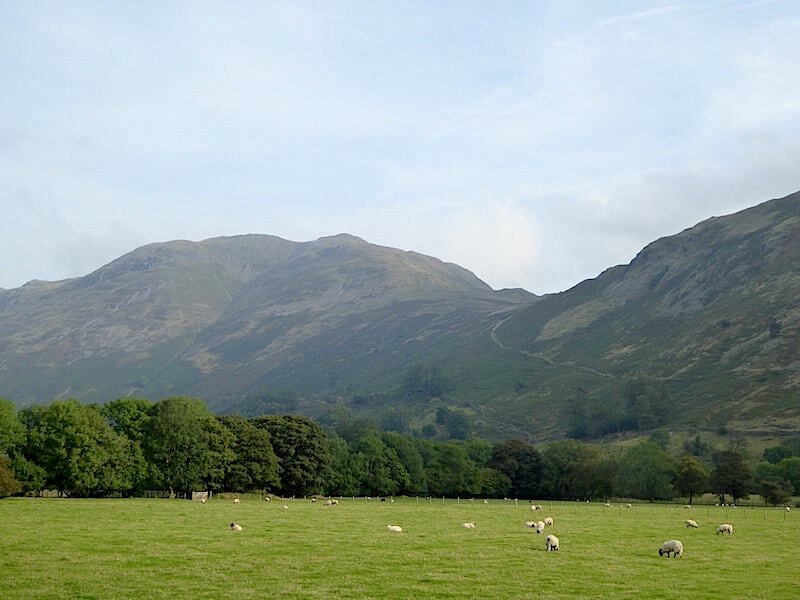 Across the valley is Arnison Crag, behind that is Birks and the high fell to the left is Saint Sunday Crag. 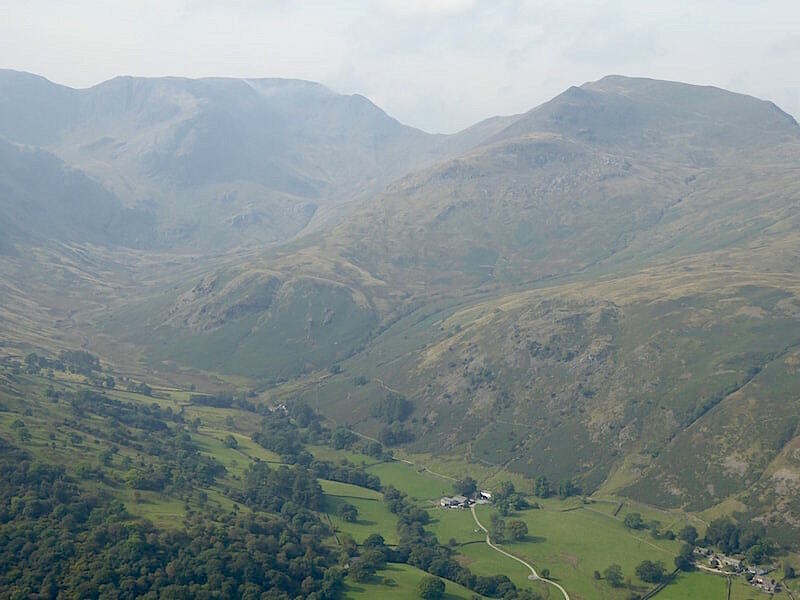 The Helvellyn range is just about visible on the skyline. 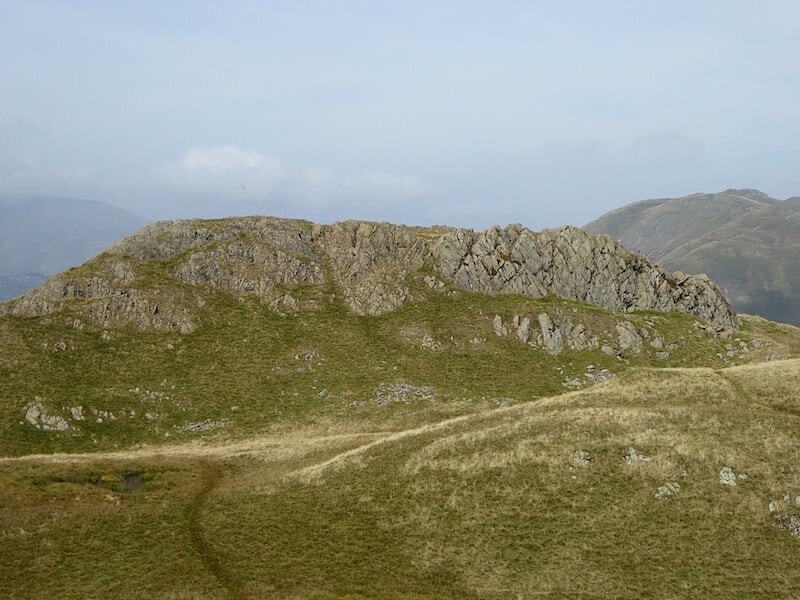 Hart Crag and Fairfield on the left skyline with Saint Sunday Crag over on the right. 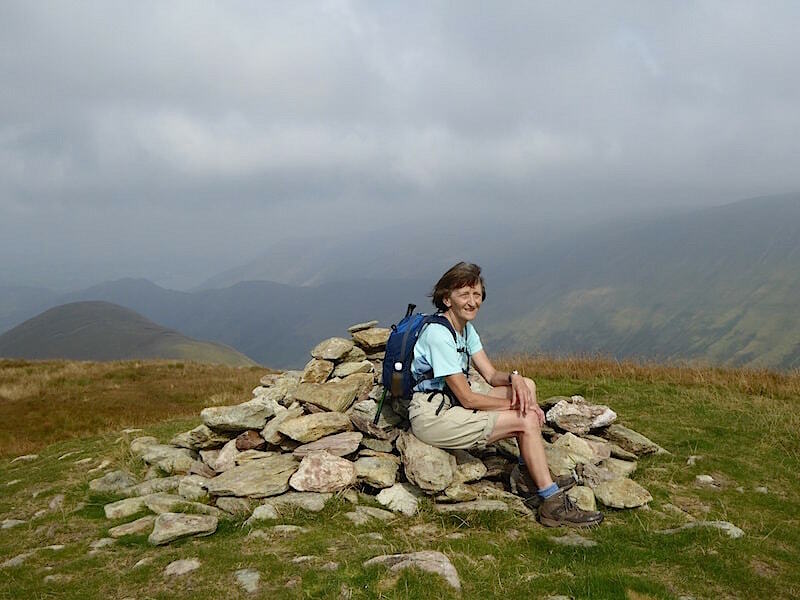 On the north top of Angletarn Pikes and looking across at the slightly lower south top. 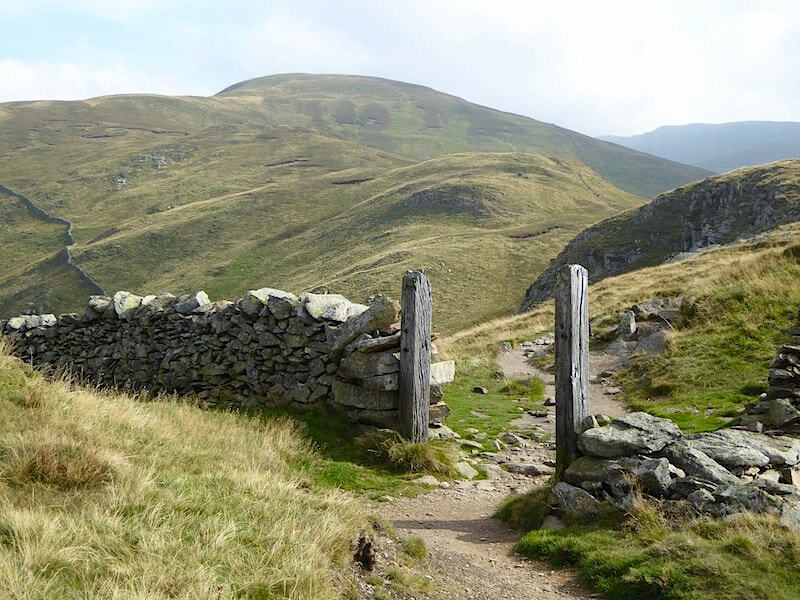 The path over to Beda Fell from Angletarn Pikes. 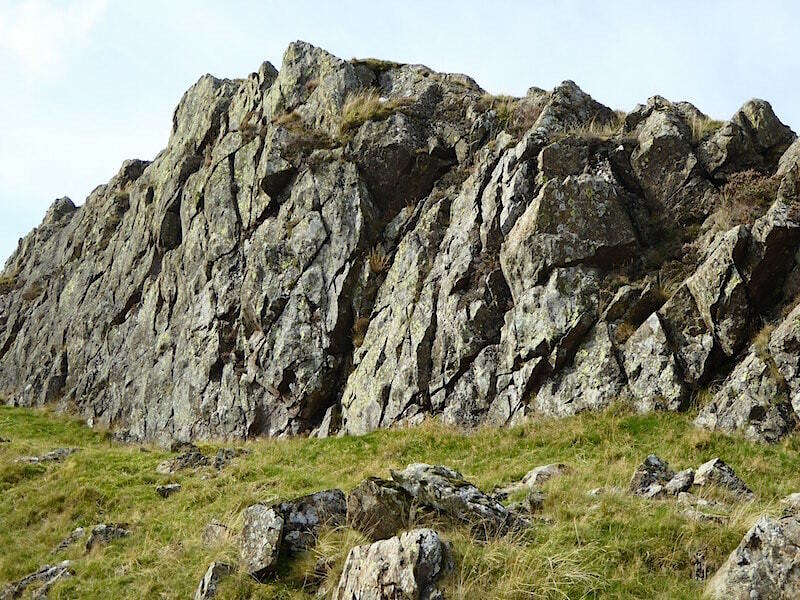 The rocky face of the north top of Angletarn Pikes. 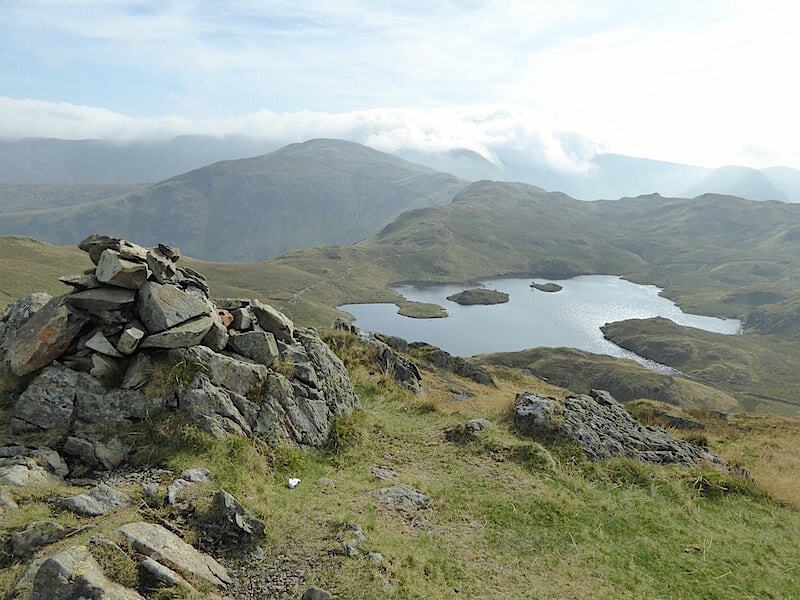 On the south pike summit looking down to Angle Tarn. 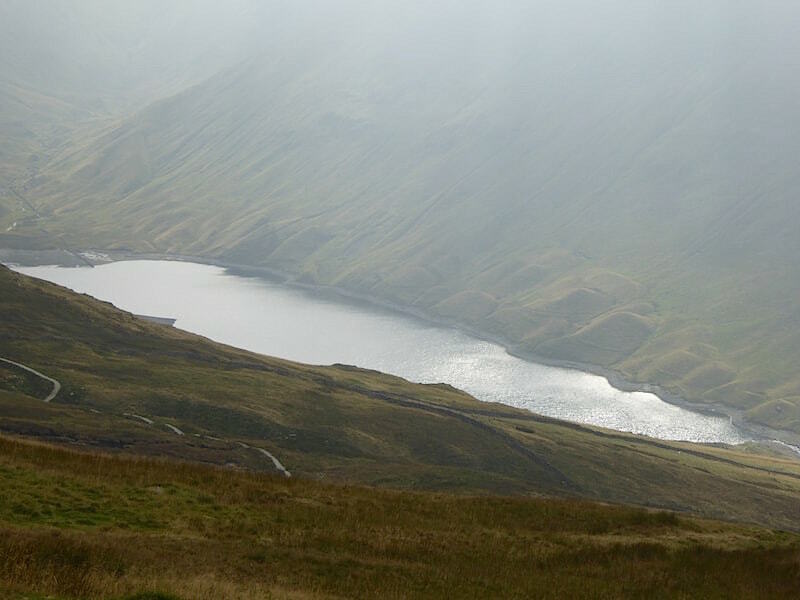 There’s no view of the tarn from the other top. 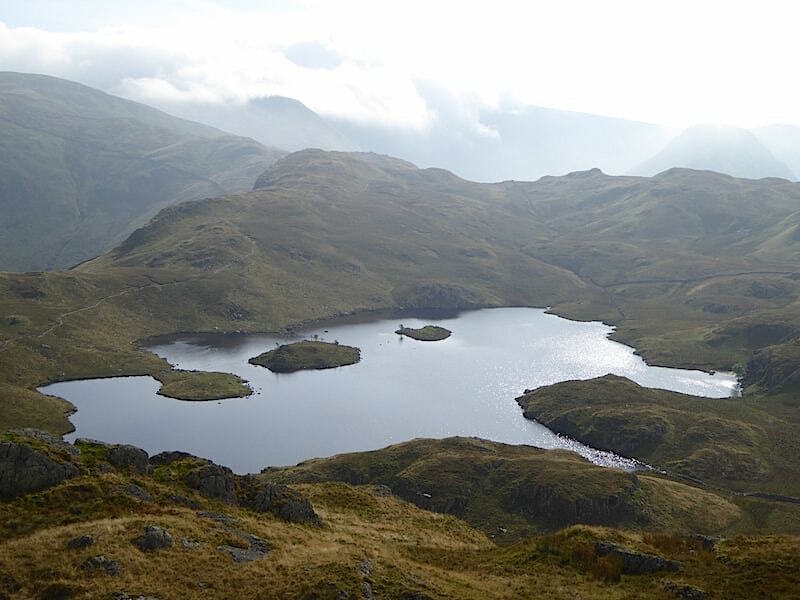 A view of my favourite tarn, from my favourite fell. 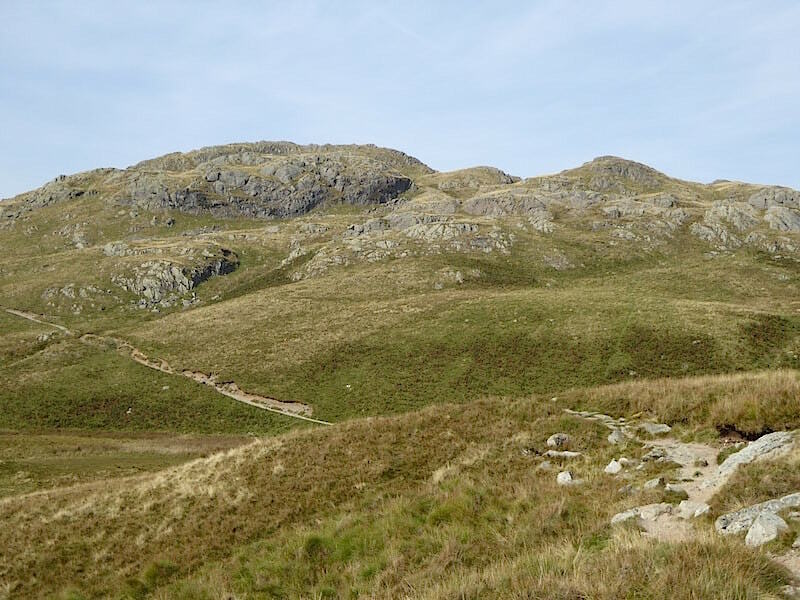 If I was restricted to only ever climbing one fell this would be the one I would choose above all the others. …. there is this normally very boggy area which has to be skirted around. It was very dry today, as there’s been hardly any rain for a good few weeks now, so no worries about getting wet feet. 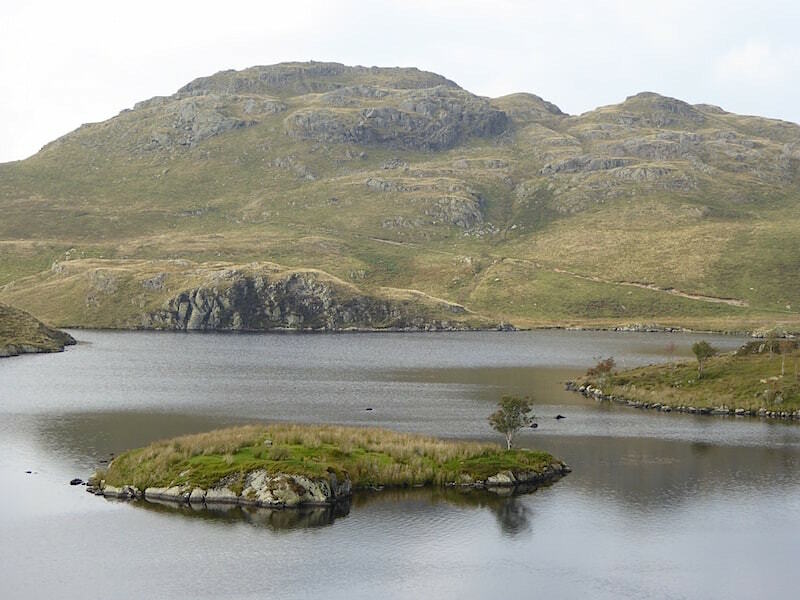 Brock Crags, over to the right, with Satura Crags, over on the left, above Angle Tarn. 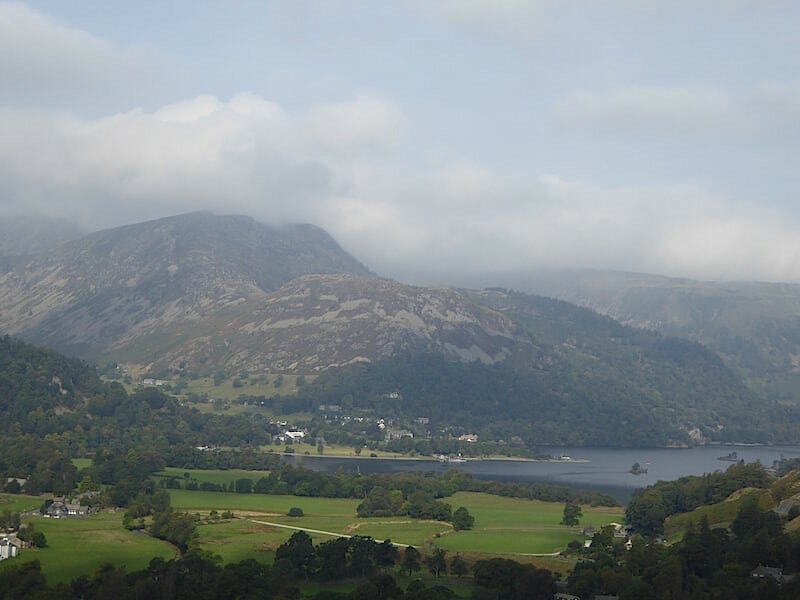 The fells beyond are mostly obscured by the haze. 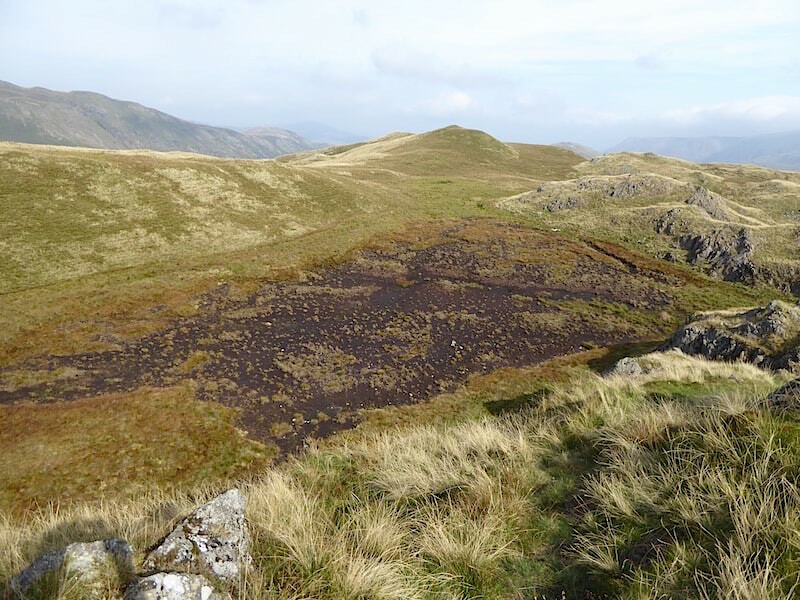 We’re down off the Pikes and following the path around the tarn on our way to Rest Dodd. A look back at the Pikes as we make our way along. 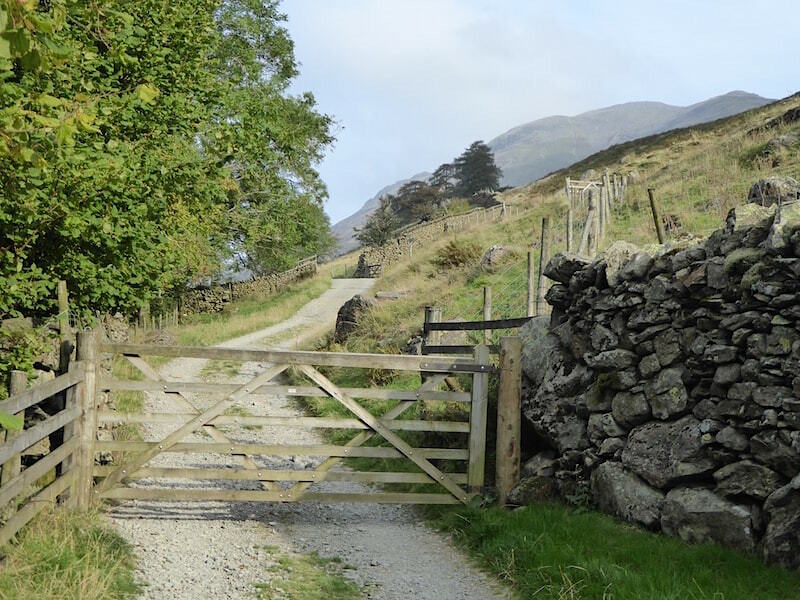 These must be two of the most well known gateposts in the district, everybody passes through them on their way to the fells to the south. 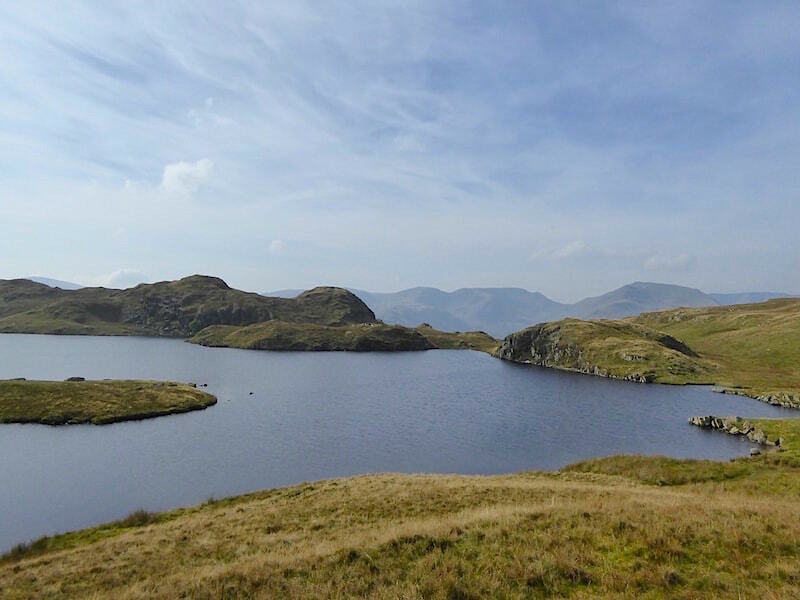 The one we are aiming for is the one on the centre skyline, Rest Dodd. Its aptly named because you need one when you get up there, well I do anyway. We’ve now left the main path and are following the wall up Rest Dodd. Its all tussocky grass which can easily throw you off balance so you need to watch where you step. From the steep climb up to Rest Dodd a look down at Hayeswater, and to the bottom left, the main path which we left earlier. 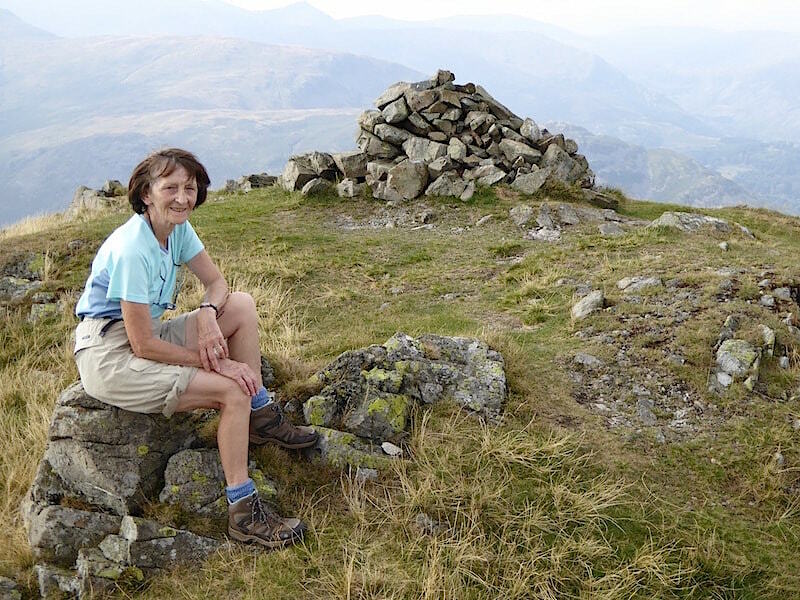 Having a rest on Rest Dodd summit with The Nab just peeping out behind over on the left. It was lovely up here as there was just a hint of a breeze, which was very refreshing after the steep climb. 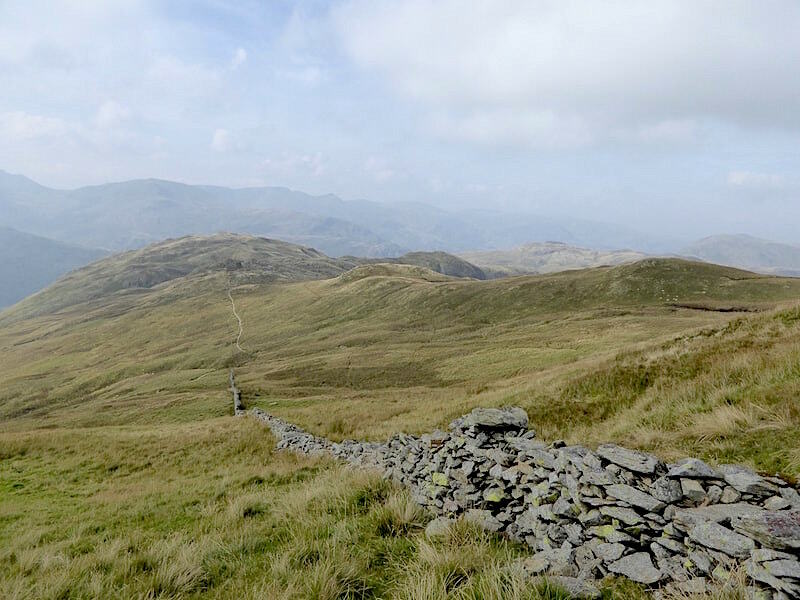 From Rest Dodd we rejoined the main path and returned the way we had come. 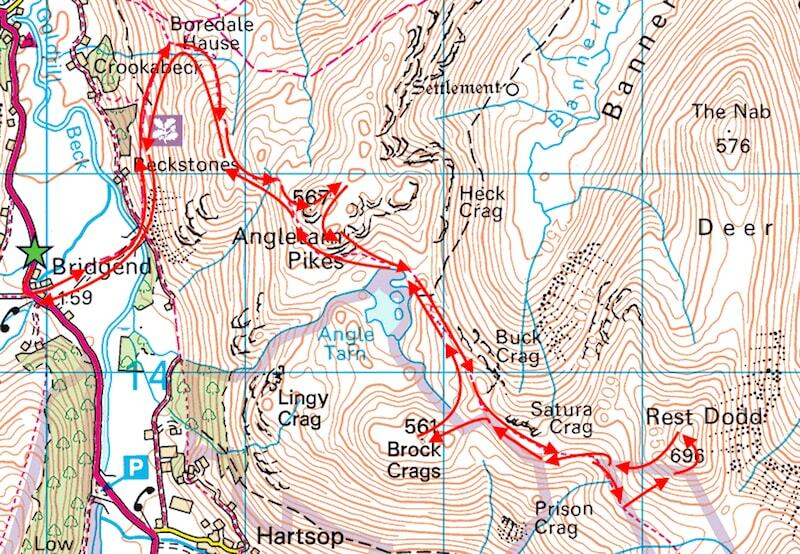 At this point though, once again we turned off and headed over to Brock Crags. 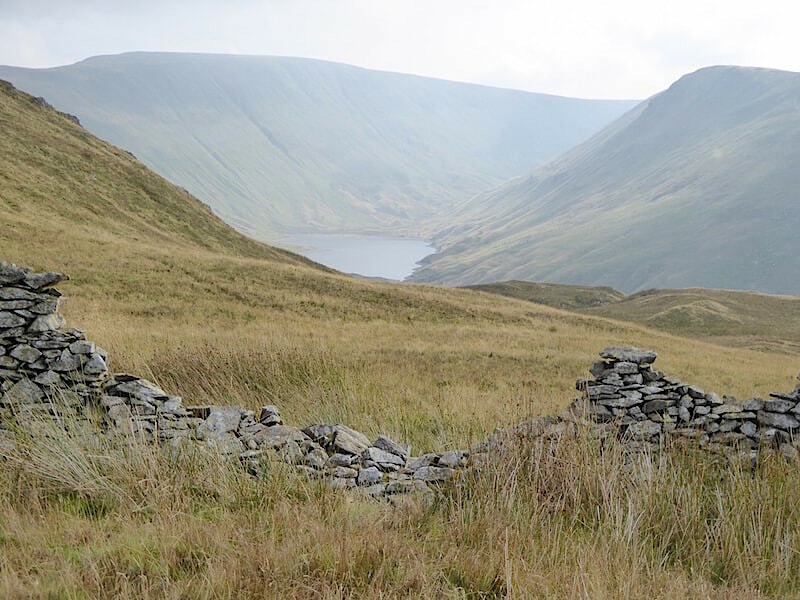 A glimpse of Hayeswater and High Street from the path to Brock Crags. 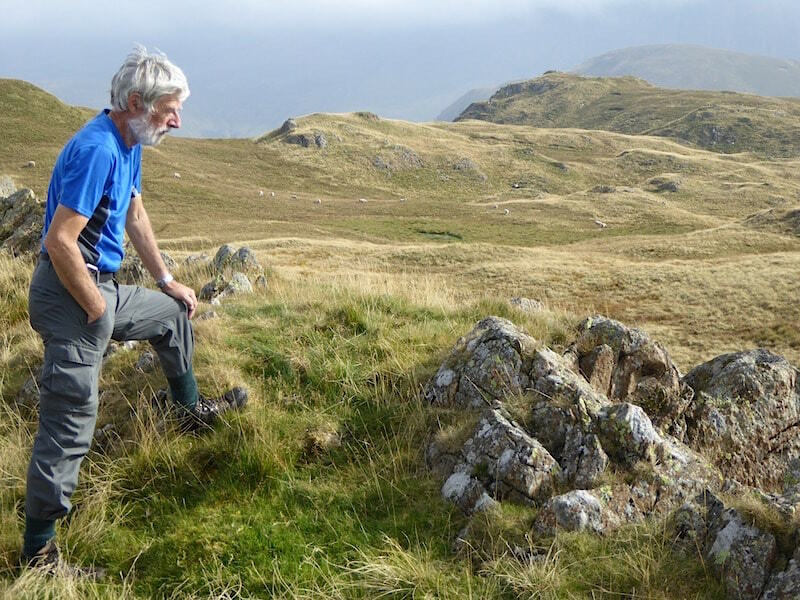 The cairn on Brock Crags comes into view. 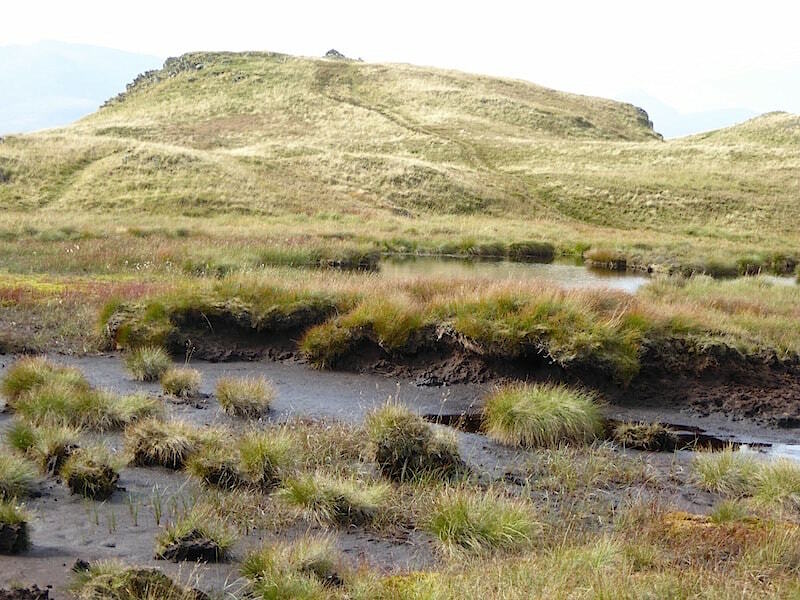 This is another notoriously boggy area and even after the long dry spell we’ve been having you wouldn’t want to risk crossing the peat hags directly, much better and safer to skirt round them. 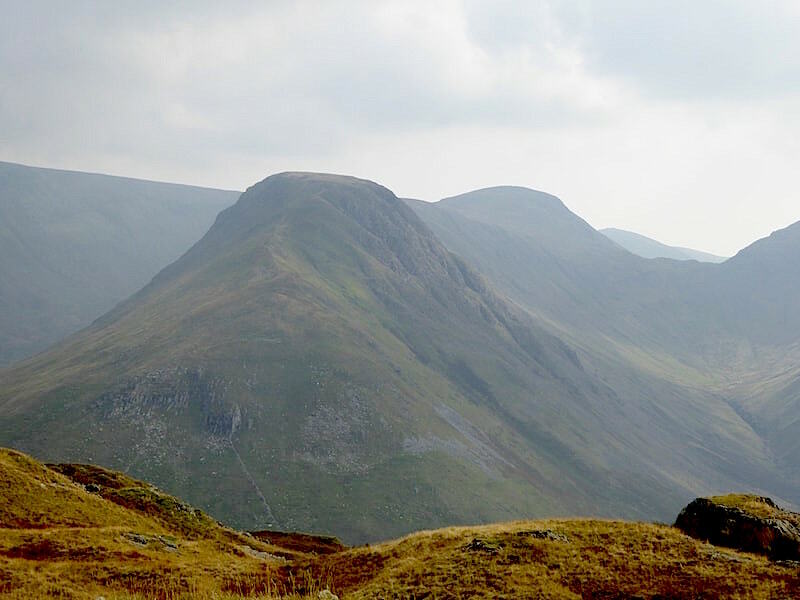 Gray Crag, with Thornthwaite Crag on the skyline behind it, from Brock Crags. Brock Crags summit cairn and a very hazy view to the west. 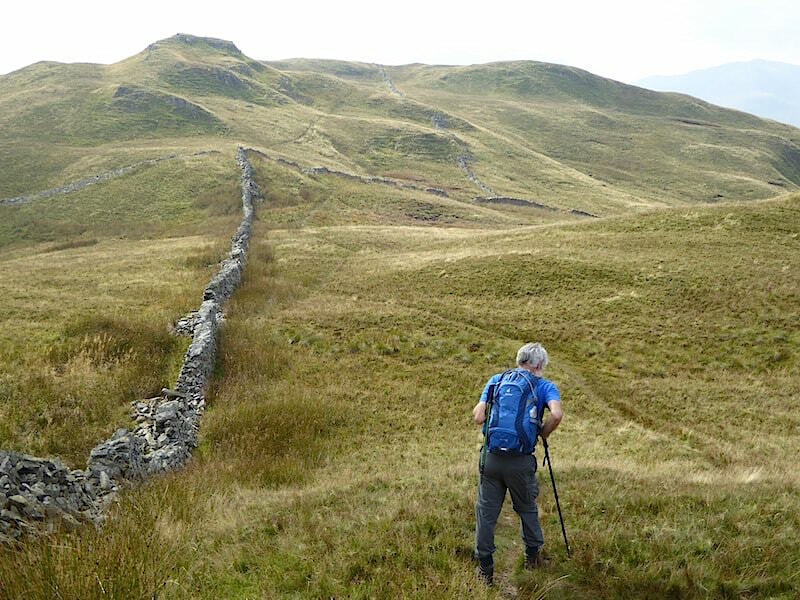 A look back to Rest Dodd and the wall we followed up to the top. 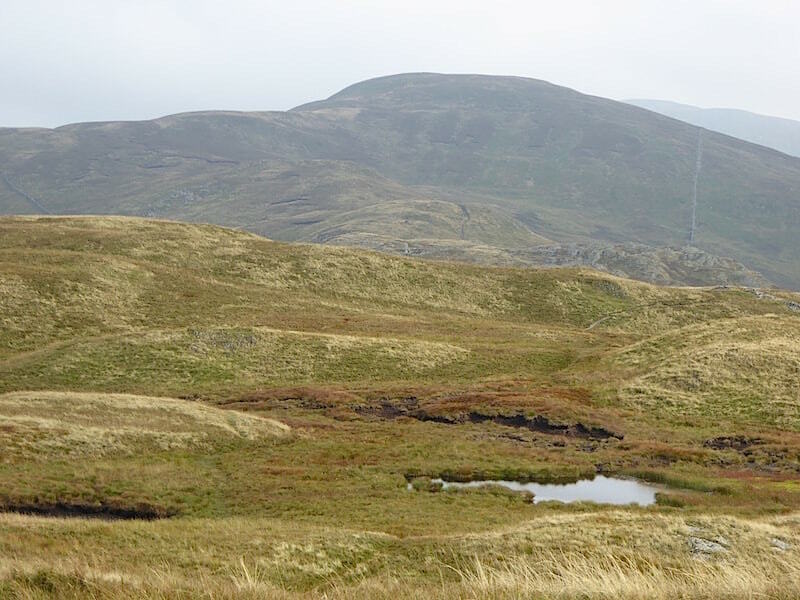 Just below us is the boggy area which we skirted around to get to this point. 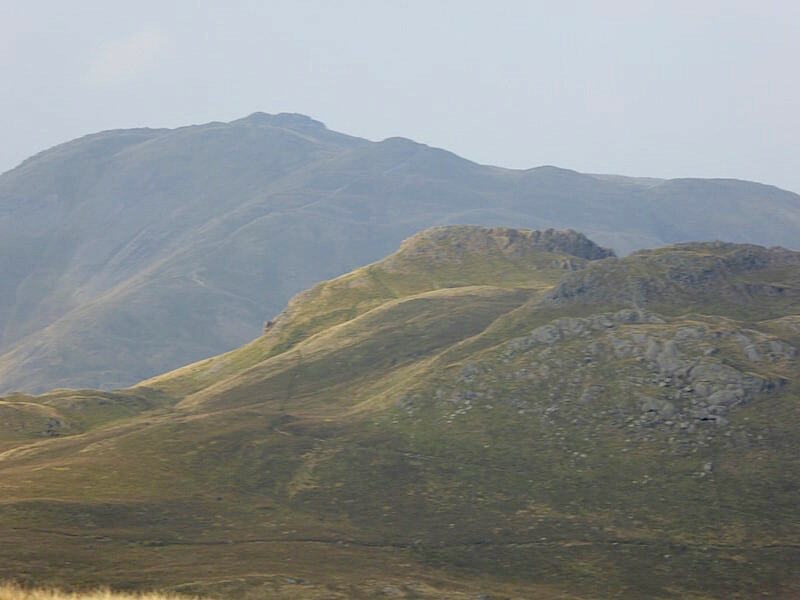 Place Fell on the skyline behind the Pikes from Brock Crags. 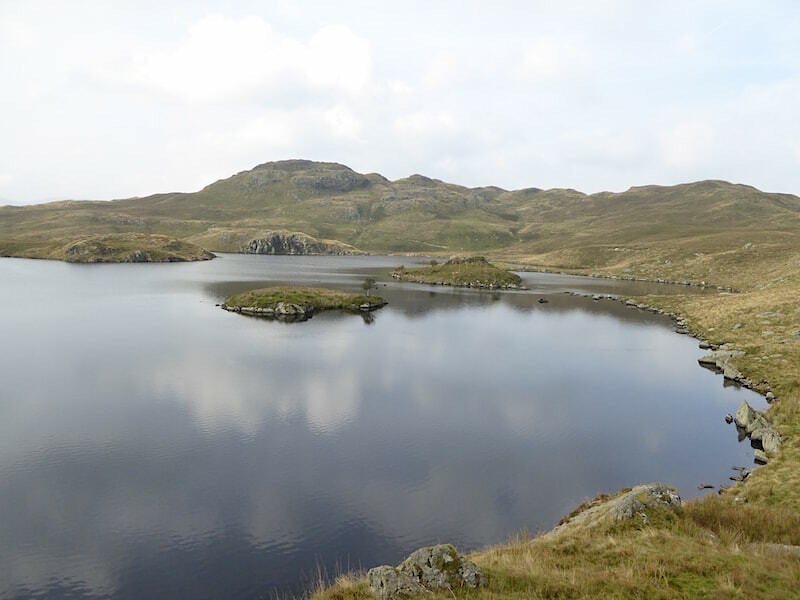 Very peaceful back at Angle Tarn. 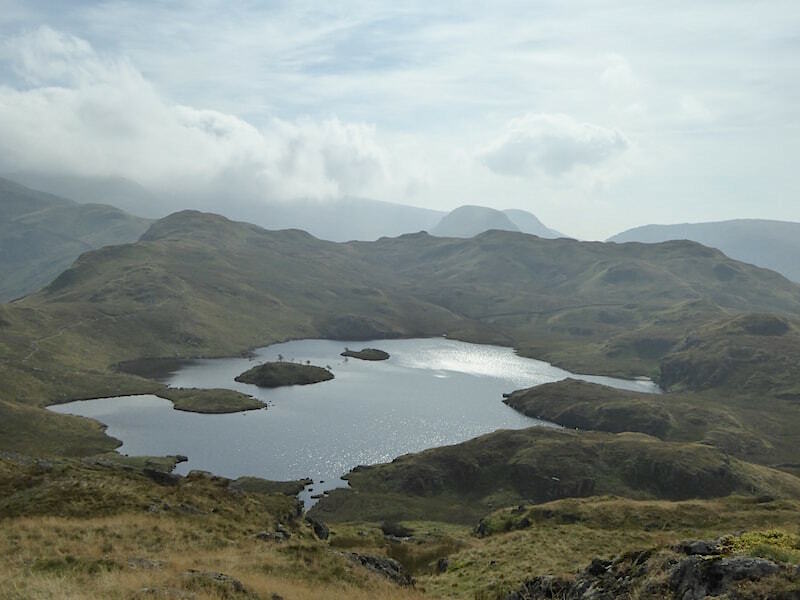 The Pikes across Angle Tarn. 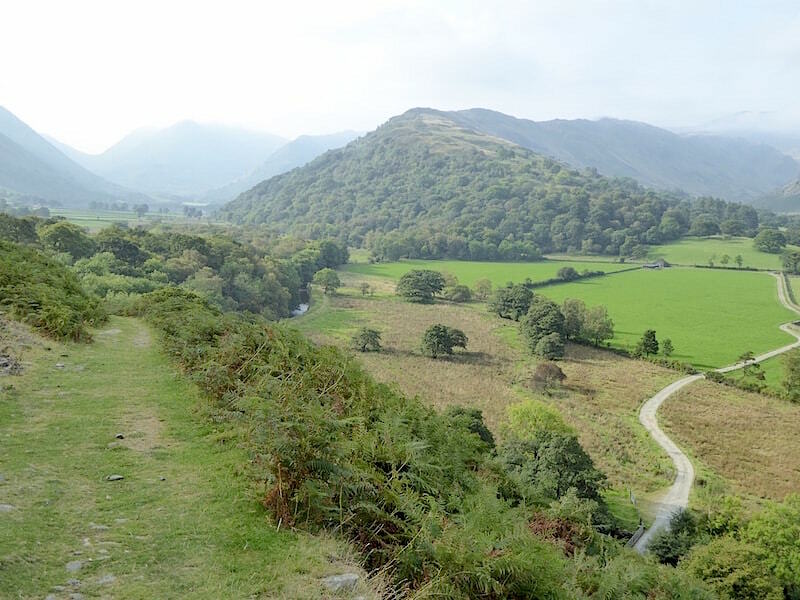 The path running across the lower slopes is the one we’ll use to return to Boredale Hause, where we’ll join the path back down to Patterdale. Back down at valley level and crossing the field path again at the end of a walk I always enjoy.